Found out on via Twitter today is Mick Jagger's 75th Birthday. 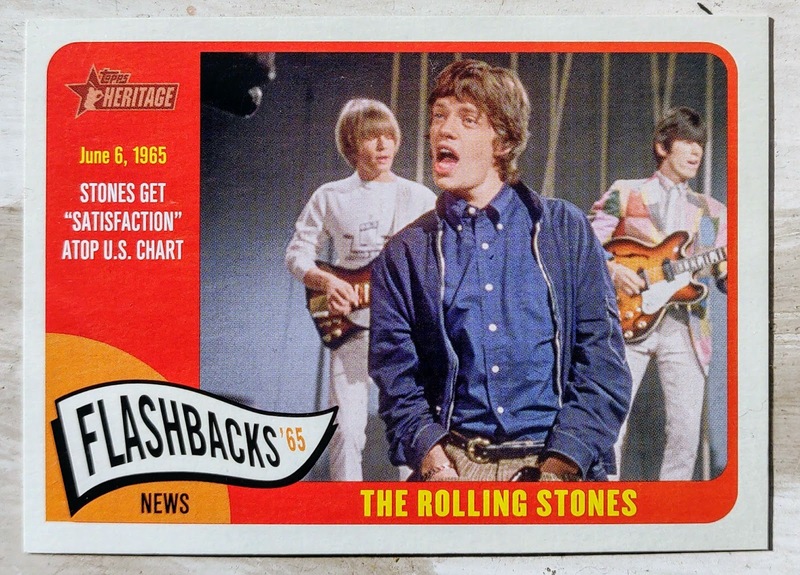 The Stones made 2014 Topps Heritage as part of the retro-theme sets News Flashbacks Insert. The card celebrates the June 6 1965 release of the single "Satisfaction". The inserts nod to the original 1965 set is the pennant in the bottom right corner plus a a 60s flavored color pallet. I find it odd that Topps elected to round 3 of the corners instead of four as in the orginal. Perhaps that better balances the design. 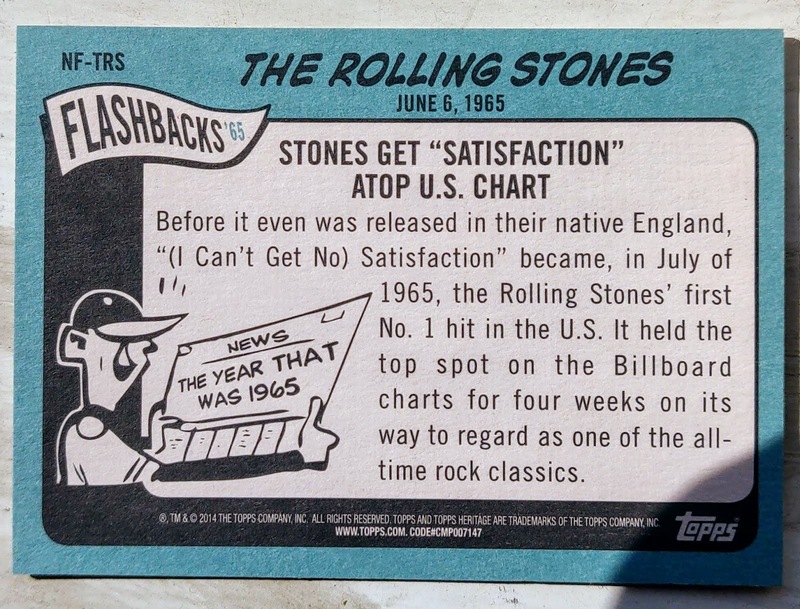 The backside of the card gives a brief history of the hit "Satisfaction". The 1965T theme carries through to the backside with the familiar light blue colors and a cartoon - As with all Heritage sets the same generic cartoon runs across the entire insert. "Satisfaction" was the closing encore by the Stones the only time I saw them in 2006. A week later it was one of three songs featured in their SuperBowl Performance. "What a drag it is getting old" is a line from the Rolling Stones' song "Mother's Little Helper".